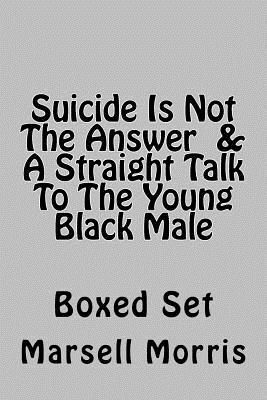 Whether you are suicidal, or a young male who can't stay out of trouble, there is something for you in these two books. In "Suicide Is Not The Answer" you'll learn that no matter the extent of your depression - no matter how much you may be hurting, there is an easy to implement alternative to taking your life. An alternative I know you haven't considered. You'll realize that life is worth living, and I'll show you how. If you are a young black male who can't seem to stay out of trouble, in "A Straight Talk To The Young Black Male" I'll reveal some reasons why you're having such a hard time. I'll reveal to you several things you may not be aware of. I'll show you how to handle adversity and conflict. I'll show you how to think like an intelligent young man. You won't go wrong if you listen to what I'll try to tell you.